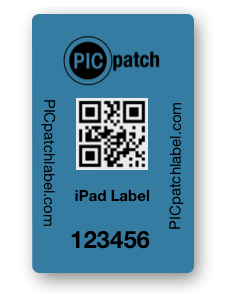 Our Apple partner labels, are barcode scanable security labels that are customizable to meet your needs. Designed to work with the iPhone, iPod and iPad, we can adjust the size, color, logo even add holograms. Each label has sequiential numeric codes for easy item tracking. Our tamper evident technology provides a visual indicator if they are tampered with. If the label is partially or totally removed there will be evidence. We have a several security labels to meet your needs, smartphone labels, camera phone labels, laptop port labels, even chaperone labels.